I’m part of The Hoppy Easter Blog Hop. Hop along for a chance to visit hundreds of blogs, with giveaways at each stop. 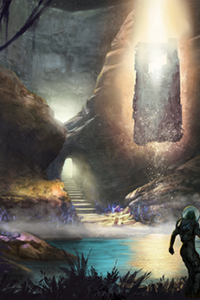 Giveaways are open until April 8th, so hurry if you want to enter! 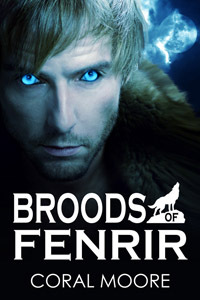 Use the rafflecopter below to enter my giveaway for two copies of Broods of Fenrir. My favorite thing about spring is the sunshine after months of dreary weather. Spring flowers. Daffodils and tulips are my favourites. My favorite thing is being able to do outside activities again! I love being outside! Plus I can read and soak up the sun after a long winter!! Thanks for the giveaway. Happy Easter. I love the spring flowers. They’re so beautiful. My favorite thing about spring is the weather and all of the plants coming into bloom and how beautiful they are. Happy Easter! I love the warmer weather and all of the flowers blooming. The new flowers and the weather are my favourite things about spring. I love watching the trees bloom and the flowers to start sprouting. I like the warmer weather for sure and I love to smell the apple blossoms in the back yard and seeing all the new babies in nature. Happy Easter, and thank you for the giveaway! The warm weather, the pretty flowers and peacefulness of the days. There so warm and relaxing! 😉 Thank you for the great giveaway! My favorite thing about spring is the flowers blooming and the warmer weather. Or at least that is what used to be my favorite. I live in a warmer climate year round now.